The Tiger Wrestling team will face off tomorrow against the Shamrocks in the Wills Arena tomorrow at 7:00 PM. The team is currently ranked #2 in the state according to KentuckyWrestling.com, while Trinity comes into the dual unranked. 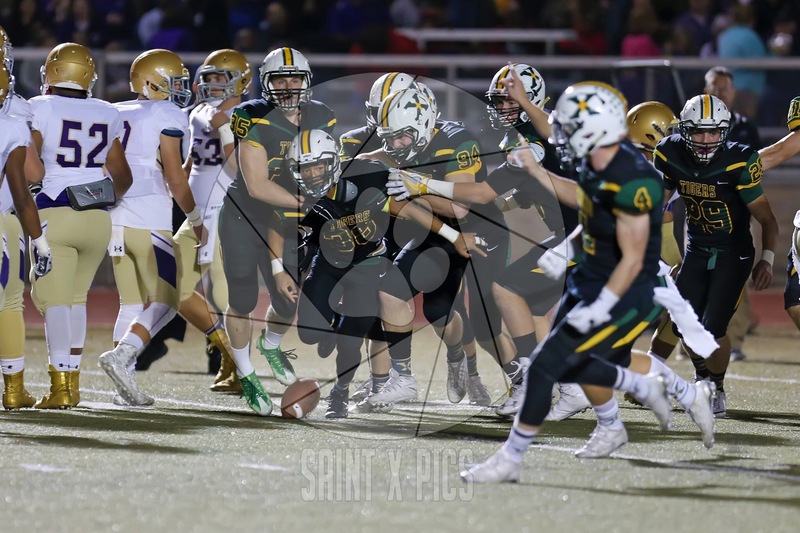 This year, St.X has far and away been the best team in the Louisville area. They have won a couple of meets this year including: The Dragon Invitational, the Firebird Classic, the Ryle Rumble, the Jefferson County Tournament of Champions, and most recently the State Duals. The team has multiple wrestlers that are ranked in the top 5 of their weight class, including: #2 Nate Wheeler (120), #5 Austin Cook (126), #2 Konner Kraeszig (138), #4 Clayton Hanson (145), #5 Dallas Miles (152), and #5 Cameron Ward (160). This will be students’ one big chance to catch the wrestlers in action this year, so be sure to support the squad tomorrow. Your very own Student Activities Council will provide a growl towel for every student that comes to support the team. Get out and get rowdy! The time has come again Tiger Nation! In a few hours, your Saint Xavier Tiger Football team will kickoff with archrival Trinity at Papa Johns Cardinal Stadium. Last time these teams played, Trinity defeated St.X by a score of 35-13. However, as I mentioned in my post earlier this week, the Tigers have really come together since that loss. They have posted a 7-1 record since, with two wins apiece over Manual and Male. In short, the Tigers have been playing their best football of the year. Even with the Tigers playing on another level, the Shamrocks are no joke. They are a good football team and it’s as simple as that. To win tonight, it’s going to take the Tigers A-game. The Tiger Offense will look to no other than Desmond Ridder and Sam Taylor to get the ball rolling. The duo has been nearly unstoppable since their last matchup with Trinity, and they’ll be looking to prove that the game was a fluke. The return of senior offensive lineman Joe Lyons will certainly help their case. Lyons went down with a knee injury the week prior to their first matchup with the Shamrocks, but since his return, he has been leading the charge for a great O-Line. Strong play from the Tigers one-two punch with a boost in the trenches looks as good as a gameplan as any. The Tiger Defense will face a steep challenge in containing the Trinity offense. As many of you know, junior receiver Rondale Moore was recently cleared by the KHSAA to suit-up for the Shamrocks. He has instantly added firepower to the offense, posting eight receptions with six touchdowns. However, the Tiger Defense has been the major component of why your Tiger Football team has been playing so well. They’ve been able to contain the likes of Jaelin Carter from Manual and B.K. Smith from Male, so Moore is just the next guy in front of them. In addition to containing Moore, the key for the Tigers this game will be to win on third down. The Shamrock Offense was able to sustain drives for 5+ minutes last game, and that simply cannot happen if the Tigers want to win. The X-Factor this game, in my mind, ultimately comes down to Special Teams. With both of these teams playing so well on Offense and Defense, this looks to be a gritty game that’ll come down to the wire. Field position is going to be a major factor in the game and if that’s the case, the Tigers are in good hands. Owen Johnson has consistently been sailing kicks out of the end zone and Zac Collins has been pinning opponents deep in their own territory on his punts. Special Teams play could just swing the result of the game either way. The Tigers have been steadily climbing the ladder in the playoffs, taking one game at a time. They have known their playoff path for the past two months and what they wanted to do in those games. First, it was Muhlenberg – win the game big. Next, it was Manual – make a statement. Then it was Male – knock off the defending champions. And now it’s Trinity – revenge. Tiger Wrestling takes on the Shamrocks tomorrow at 7:00 PM. This is just the second dual of the season for St. X. They won their first on Jan. 3 versus Floyd Central. As for meets, they have won 5 of 13. This will be students’ one big chance to catch the wrestlers in action this year, so be sure to support the squad tomorrow.